Is DevOps good or bad for security? Transformation through DevOps practices should transcend product features. IT's ability to successfully deliver business outcomes is intrinsically tied to product selection and vendor partnerships. This is amplified with DevOps projects, because DevOps success often requires reinvention of the IT culture, the organizational structure and automated processes. New software development cycles and/or improved team collaboration may also be necessary. DevOps is more complex than traditional technology projects. To reap the benefits of DevOps, IT executives and their teams must extend product analysis to include potential value beyond a product's capabilities. Here are best practices for mitigating vendor risks and increasing the rate of DevOps success. 1. DevOps forces a continuous improvement cycle. Therefore, you should analyze product capabilities from that point of view. How will the tool integrate with legacy and new tool architectures? Will it support the measurement and attainment of technology and business metrics? What are the planned feature enhancements? How does it work with security, operations, and development tools? Can it create a new integrated DevOps process? Rather than considering product capabilities from a single functional domain, DevOps requires cross-functional thinking. A product should be able to show multiple data sources and streams to multiple IT roles, and it should integrate with various other functions. It's critical to examine areas such dashboards and interfaces and security and IT operations integrations, as well as the product's ability to accommodate changes in the development or deployment cycles. Recognize that DevOps processes often align with multiple functions across a development or operational domain and can bring tremendous synergies when collaborative planning occurs. Having a deep understanding of the customer persona can help shape how the improvement cycle might look over the short and long terms. 2. 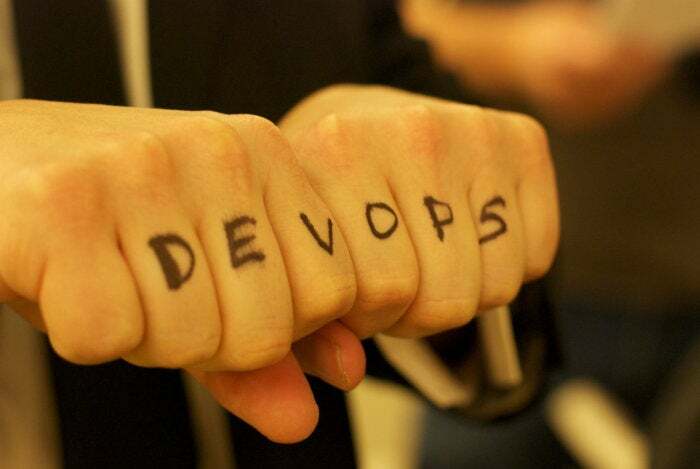 DevOps helps accelerate IT cultural change. Therefore, you should determine how a product can assist in changing the culture. What business and technology processes will the product impact? Does the product require team collaboration across functions? How does the product assist in driving sharing and reporting across teams and time zones? Does the integration drive deeper analysis and team-building? Is there a single source of truth that the product can deliver -- one that can be used to help identify or solve problems? Can both IT executives and staffers view dashboards? Cultural change requires a sense of urgency, strong leadership and an understanding of both why people should change and what's in it for them. A strong set of cultural traits across areas such as teamwork, collaboration, performance-based metrics, trust and empathy are critical to any successful DevOps project. What's often left out is the link between the desired cultural traits and the products chosen to help drive the change. There should be a cultural undercurrent that supports the notion of delivering organizational impact through meaningful work, assisted by new DevOps tools. 3. DevOps requires a focus on the customer and business outcomes. For that reason, you should define the customer persona and gain assurances that the product can deliver on clearly defined and measurable business metrics. Who are the customers and what do they expect? How will the product improve the customer experience? What are the processes that impact the customer experience? How will the product deliver on business metrics? A deep understanding of what impact DevOps projects will have on customers is critical. That starts with defining the right metrics -- both business- and technology-related -- and assessing how each metric will impact the customer experience. Products must be able to deliver such metrics. While there are many other criteria to consider when selecting a DevOps product, these best practices enforce some of the foundational principles DevOps espouses: continuous improvement, IT cultural change and a focus on the customer. Smart teams will reinvent what they expect from their vendor partners and the DevOps products they choose. Stephen Elliot is vice president of IDC's IT Infrastructure and Cloud practice.